When our new baby came along, it’s fair to say that my toddler felt a little put out. All of a sudden, their old toys/equipment are back on the scene with a new kid in town! So it’s nice to bring something into the house that is brand new. 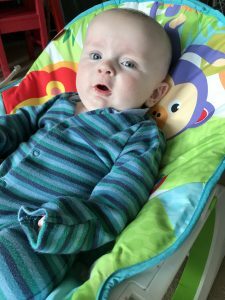 We were given the chance to review a chair that can take a newborn or a toddler – sounds great! 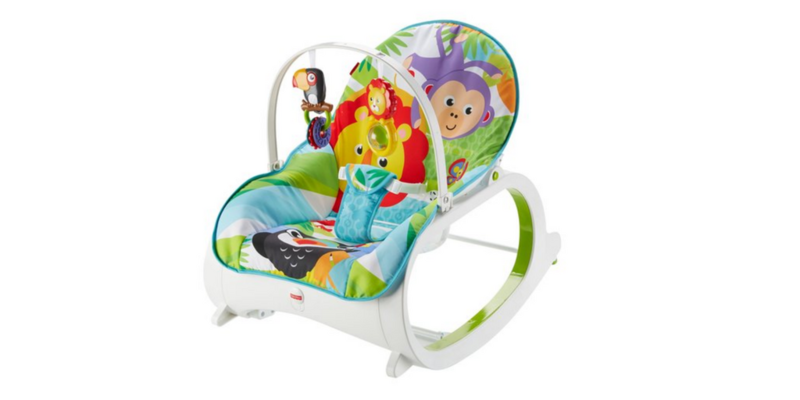 The Fisher-Price® Infant to Toddler Rocker is exactly that – it starts out as an infant rocker or stationary seat. 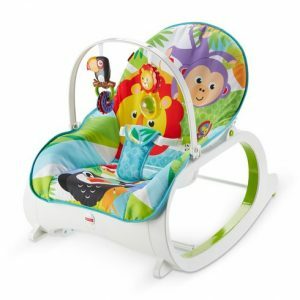 Then, as your child grows, you can easily remove the toy bar and convert the seat to a toddler rocker! And with two comfy recline positions, calming vibrations, and a machine-washable seat pad, what’s not to love? This rocker is great! 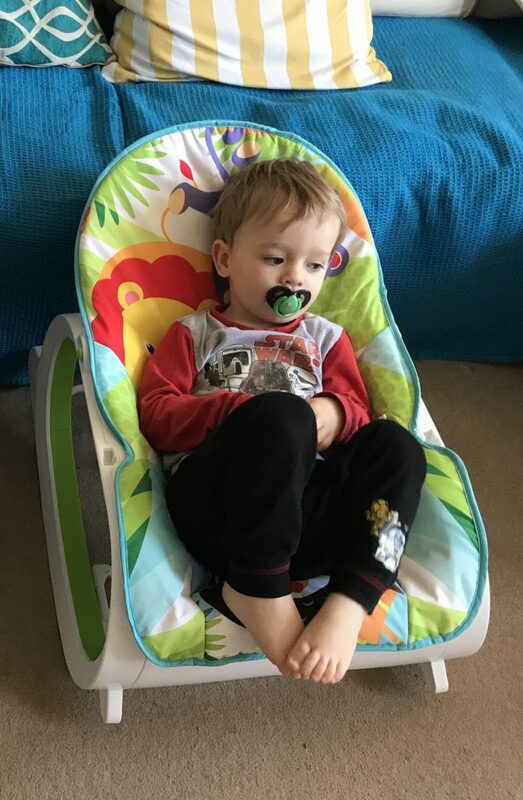 The fact that I can now put either child in the same chair, without having to make any massive adjustments to the settings is fantastic, and so handy. 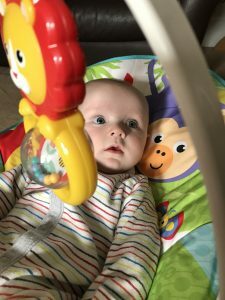 My 5 month old seems to be very comfortable in the chair – he seems to be very well supported, and the parrot and lion both catch his eye (and they’re great for strengthening gross motor skills). It’s very bright, and the characters are super cute. Wipe clean fabric is always a bonus, whether it’s baby sick, or toddler crumbs! One of my favourite features of this seat is that you can fold out the kick stand turn the rocker into a stationary seat. How clever! My five month old seems to like this position in particular. And my toddler doesn’t feel put out when baby is in his other chair (which he is too big for). He has his own comfy seat that he can snuggle up in. So everyone is a winner.